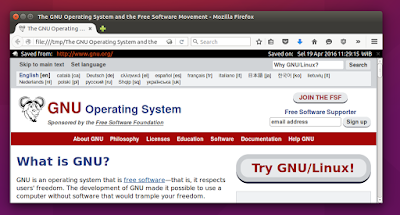 Mozilla Archive Format (MAFF) is a single file format to save HTML page and another needed file in Mozilla Firefox. By using this format, you may save a web page in a single file, not in two separated files (a HTML and a directory) like normal web page saving. MAFF format is compact, universal, reliable, and easy to use or to share. We will demonstrate the basic use of MAFF here. Offline usage. Offline users will take more benefits by easily saving & sharing web pages. Compact file. Just one single file for a web page. More compact file. One single file for many web pages. For example, all tabs in a MAFF file. Saves everything from a web page, including images, sounds, and videos. Compatible with Mozilla Firefox. It can open MAFF even without the add-on. MAFF is open format. No vendor lock-in. To take advantages of MAFF, first you must install the MAFF Add-on. 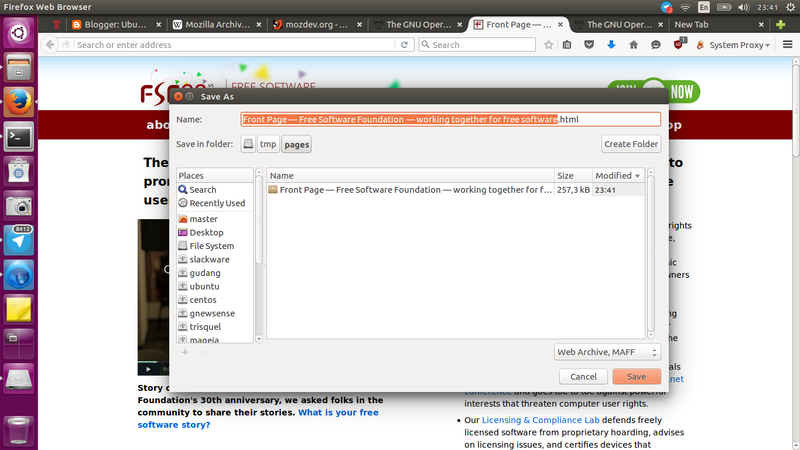 Go to http://maf.mozdev.org and click Install Mozilla Archive Format button there. Or click here to install it directly. You should restart Firefox after installing. Visit a web page and press Ctrl+S. In the bottom-right, choose the format to save as: MAFF. Press save. By this, you will save a file named as .maff from the web page you visited. 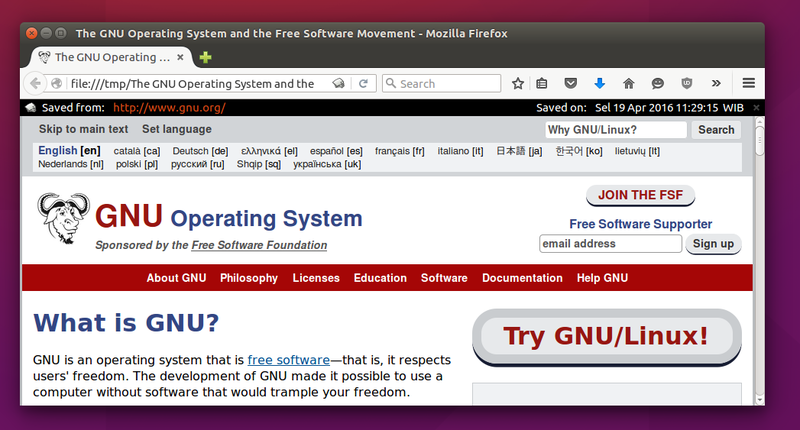 In this example, we show you the fsf.org web site. To save many web pages at once, by selecting one by one, select Firefox menu File > Save Tabs In Archive As > a selection dialog appears > select some tab name entries > press Save > select MAFF format > press Save. This will generate a MAFF file containing the tabs you selected. 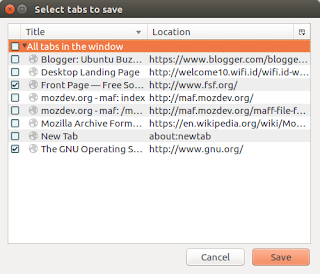 To save all tabs at once, select Firefox menu File > Save All Tabs in Archive as > select MAFF format > press Save. This will generate a MAFF file containing all of your current tabs. 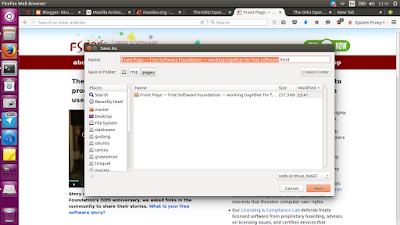 To open a MAFF file, just drag and drop the .maff file into Firefox window. To distinguish a web page from offline MAFF file and the same web page from the internet, see the URL or the top black panel in the page saying "saved from: ... saved on:".